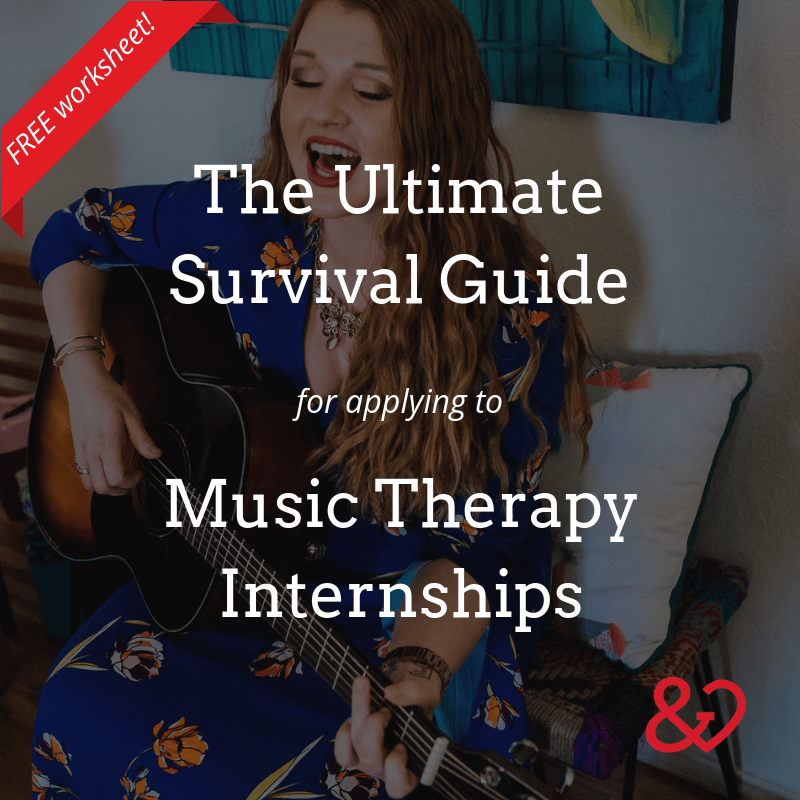 Having recently finished my internship, I know first-hand just how stressful this time in a music therapist’s life can be! 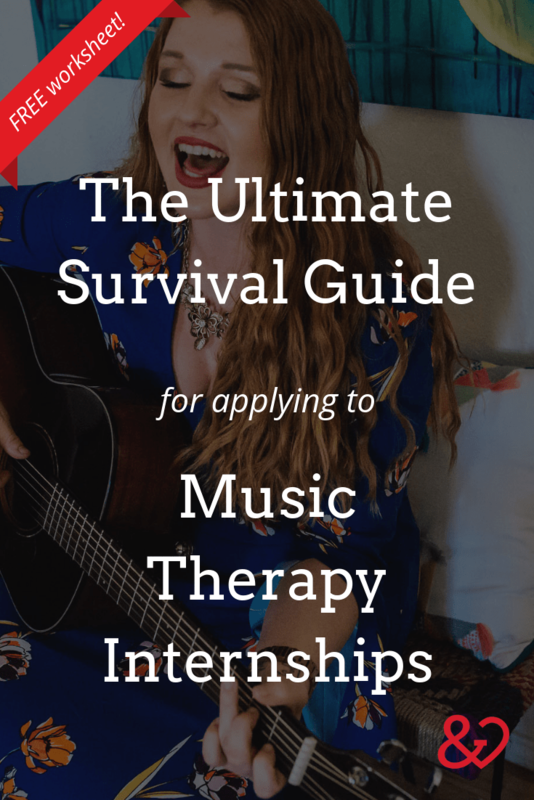 Whether you’re looking for a program, right in the thick of your current internship, or preparing for life beyond the board exam, I’ve prepared a list of tips and tricks to keep you afloat for this home stretch of your collegiate music therapy career. This first post in a three-part series covers the daunting task of finding, applying for, and selecting an internship. Keep reading for a free downloadable worksheet based on this post! 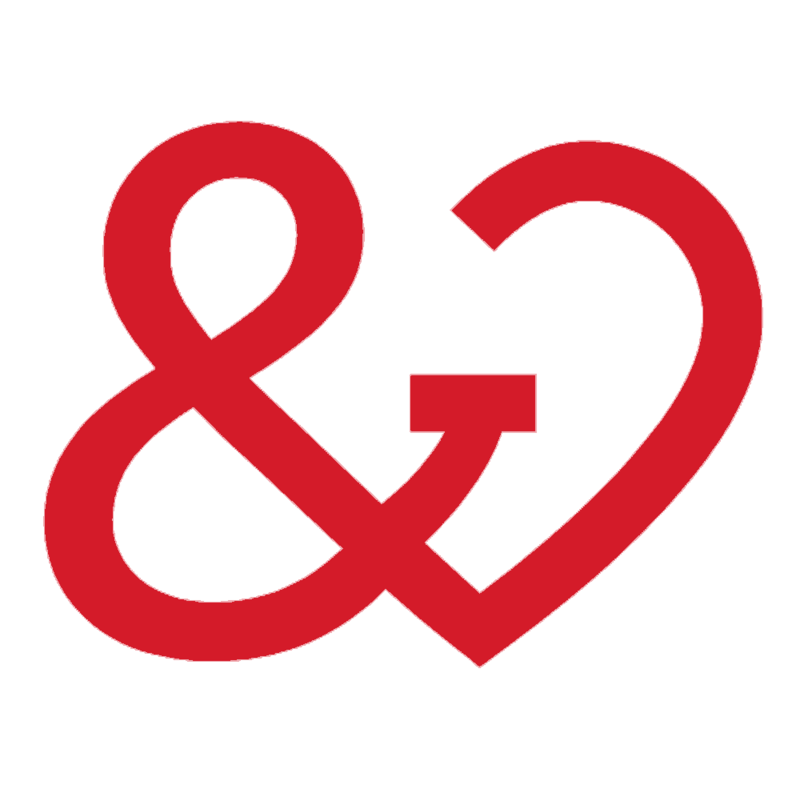 First things first: Let’s talk internship applications! Be sure to begin looking at internship programs early – some programs have application due dates up to a year before the actual start date. If you wait until your last semester to start looking, chances are you’ll miss out on some stellar opportunities. Personally, I wasn’t entirely sure where I wanted to go for my internship, but I knew I wasn’t stoked about psych populations, wasn’t interested in a medical setting, wanted a program with a cognitive-behavioral background, and didn’t mind traveling far from home as long as I didn’t go somewhere with snow! Once you’ve decided what kind of internship you don’t want, it may be easier to decide what kind of internship you’re really looking for. Use the AMTA website to find national roster internship programs, and talk to your professors about approved university-affiliated internships that might be a match. Once you have a handful of programs in mind, write down due dates on your calendar and create a plan to have each application finished on time. Remember: you can only have four internship applications out at one time, so it might be helpful to decide early on which programs are your top choices. Your professors and peers are some of your greatest resources as you decide which programs to apply to. Ask your professors what they know about the internship site, internship director, and if they think you’d be a good fit. See if any of your older classmates have interned at a site and ask them for their feedback. Use the internet and see what information you can find about an internship site both on their website and their social media channels. This knowledge will help you decide if an internship site is right for you, and will also make you a more informed applicant. Once those applications are submitted, it’s time to prepare for your interviews! Each site has different interview requirements, so it’s helpful to write down exactly what is expected of you for each interview. You might be asked to prepare several interventions for various populations, demonstrate your skills on piano, guitar, and voice, or show how you would track data for a certain objective, just to name a few. Practice each song and intervention ahead of time, and schedule a mock interview with your professors, graduate assistants, or university career center to prepare if possible. Take a look at the interview requirements and ask yourself what you could do to really go the extra mile and make yourself stand out. What are your strengths as a therapist and as a musician? Can you transpose fluidly through various keys on guitar? Do you have a variety of piano accompaniment styles under your belt? Are you particularly proud of your goal writing and measurements? Find a way to highlight your unique strengths and be honest about your weaknesses both with yourself and with your interviewer if asked. 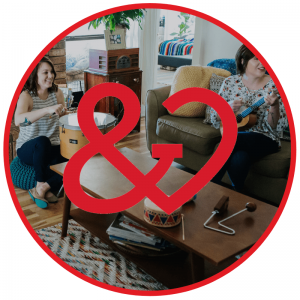 If you’ve always wanted to learn some rocking barre chord riffs but don’t quite have a handle on it, your internship interview is not the time to test it out. As you interview, remember that the clinical training directors aren’t just sizing you up – you’re also trying to decide where you should spend the next 1200 clinical hours-worth of of your life! Asking questions not only shows the internship director that you’re a serious candidate, but also gives you insight into what your life would look like as an intern as that site. What does a typical day look like for your interns? How would you describe your supervision style with your interns? What kind of personal relationships do you have with your interns? What projects are required in this internship? Where are your former interns working now? What is one skill you expect your interns to come into the program with a solid foundation in? What is one skill you expect your interns to leave the program with a solid foundation in? After you’ve left each interview, jot down some quick notes with your first impressions and things you’ve learned. You’ll be thankful you have something concrete to look over once the adrenaline fades! After your interviews are over and you know where you’ve been accepted, you’ll have to make the big choice: deciding on a internship. Go back to the initial list of items that you want an internship: population, setting, therapeutic philosophy, etc. and see how your final options stack up. What were your impressions of each site based on your interviews? Which sites can you see yourself being successful in? What are pros and cons of each option? Like any big decision in life, you’ll probably have to make some compromises in your “dream internship” item inventory. If you’re dead set on working at a pediatric hospital operating under an NMT philosophy, are you willing to move to different location than what you first thought? If you really want to stay in your hometown, are you willing to intern with a private practice if no school district nearby has music therapy? Take note of which items are non-negotiable and which you’re willing to bend on. Choosing an internship can feel paralyzing, and while it is a big decision, just remember that it’s only for the next six(ish) months of your life – just a little more than a semester. You have the knowledge, training, and perseverance to not only make it through your internship, but to learn, grow, and thrive wherever you end up. Your time as an intern will fly by, and you can choose to make it a great experience at any site by your attitude and willingness to learn and try new things. Take a deep breath, get your things organized, and rock those applications – you got this! Download the internship application worksheet! 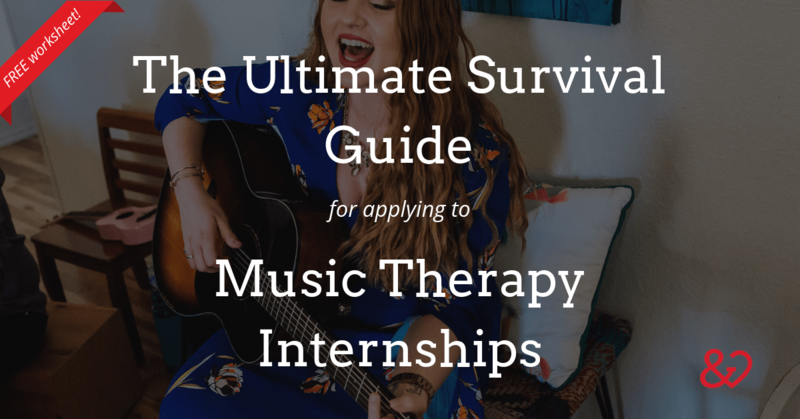 Subscribe to our monthly newsletter to download our music therapy internship application worksheet.